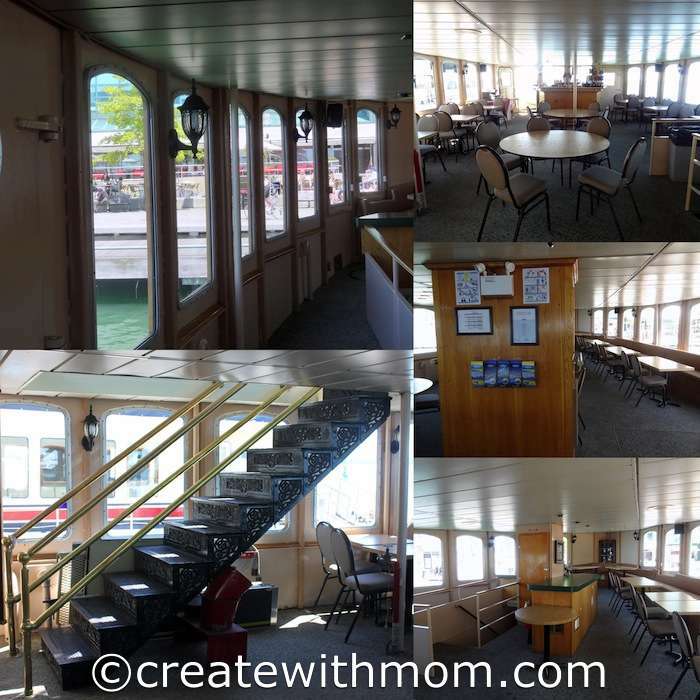 Mariposa Cruises gives us a wonderful opportunity to explore the Toronto Harbourfront. People of all ages will enjoy sightseeing, while cruising on the calm waters of Toronto's inner harbour. 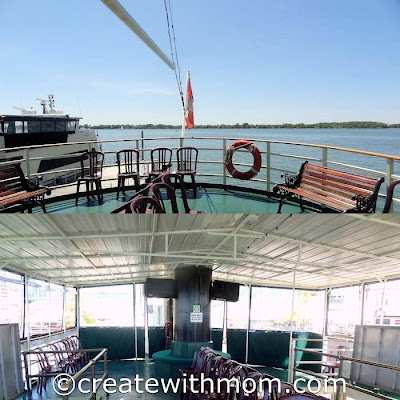 Mariposa Cruises is a wonderful way to relax, enjoy the cool breeze, and see the famous Toronto skyline. My family and I enjoyed the one-hour narrated harbour tour on the Oriole, which is one of seven Mariposa vessels. 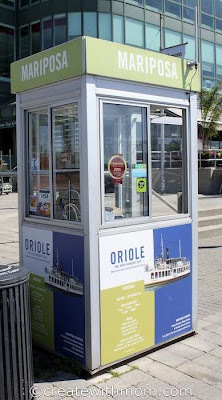 The Oriole usually carries the public harbour tours, but occasionally other Mariposa cruise vessels are used. There are about six daily departures for the public tours from mid May to September. Call to make sure about the public tours before going, as they may have tour cancellations on certain times due to school tours, weddings, parties and other special events. It was fun learning about some history of the sights such as the Toronto Island Airport, Sugar Beach and more from the lively and informative narration given by the guide. The open air upper deck allows us to enjoy the beautiful breeze. Smoking is allowed in the outer upper deck of the cruises, which is unpleasant if we don't like the smell of cigarettes. Mariposa cruises also has other tour options such as the lunch or weekend brunch cruise that are 2 hours long. Their dinner cruise is 3 hours long, which will allow us to enjoy the beautifully lighted night skyline. There is plenty of room inside the vessels to enjoy the grand buffet style meals that is served aboard. They also have special events on specific days on different vessels. We enjoyed walking the decks and enjoying the scenic view of the sails, boats, and planes flying while we waited for our tour. No worries if you get there early because it is a wonderful place to take pictures, so don't forget your camera gear. Going on a cruise doesn't have to be far or expensive, it is a wonderful fun way to spend time with family and friends. It is a perfect way to enjoy the harbourfront, celebrate special occasions, or entertain out-of-town guests. The tickets can be bought on site at the Kiosk, located on the southwest corner of Queen's Quay and York Street. This would be a fun thing to do with out of town guests. It looks beautiful. I will have to tell my mother to check this out. She is in Mississauga and would really like it. I like tour cruises, it's an easy way to see so many things that a person wouldn't otherwise get a chance to see. Looks like fun! We will have to check this out when we are visiting Toronto! What a relaxing way to spend part of an afternoon! It looks beautiful! I've always loved boats, so this would be super enjoyable for me! Nice boat. This looks like fun. looks like a wonderful trip. Lots of camera opportunities. And a wonderful view of the skyline! I remember seeing the Mariposa Boat when we wen to TO last summer. Unfortunately, we didn't have time to book a trip. Beautiful ship! Love your photos. What a great day adventure! Staycation idea! I lived on the waterfront for several years and used to take visitors on the cruise. It was lots of fun! I have always wanted to do one of these cruises, and I'll definitely check out Mariposa.